We finally made it off of route 96 which we had been on since Rush Center, KS (see day 59). We got onto route 50 and the last 11 miles into Pueblo felt like eternity. Linda thought she could see a faint outline of mountains in the distance, but Phil was convinced they were just clouds. 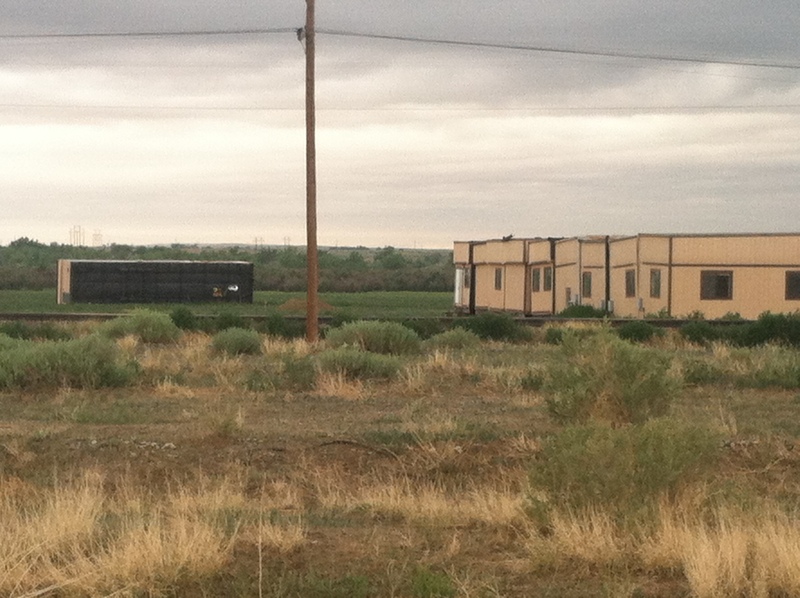 When we got into town, we realized how big Pueblo was in comparison to the little towns we had been going through. We had a few things to do when we got into Pueblo. Our first order of business was to find something to eat. We came across this place which on the east coast would be common place. 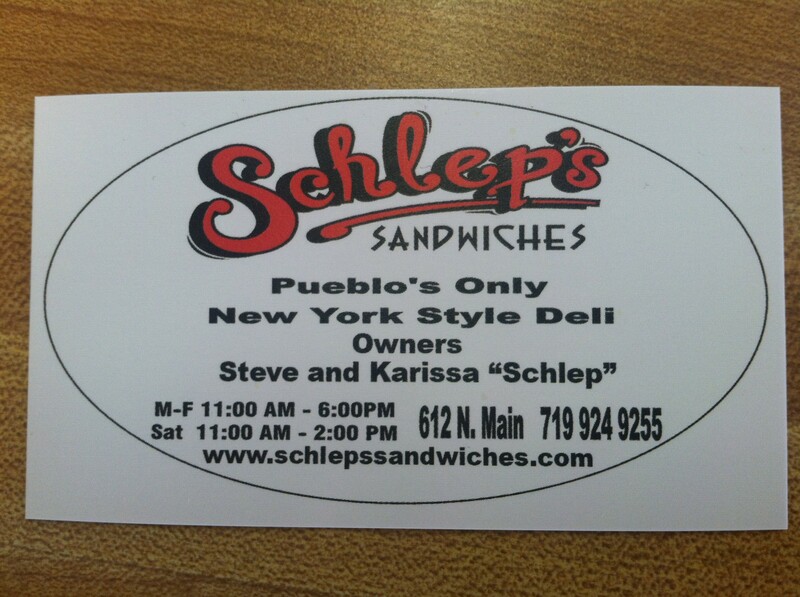 In Pueblo, it was one of the only true Deli places. After filling our stomaches with some great deli food, we then decided to find a place to sleep. We decided on the Santa Fe Inn in Pueblo. The nightly rate was reasonable and they gave a discount to cyclists. The laundry was also free, which was a bonus. Once we checked in we had a new saddles we had ordered as well as a Camelbak for Phil and had sent to the Pueblo post office. We road our bikes down to the post office, picked up our package and replaced our seats. We then put our old seats in the same box and shipped them to our new address. Our last order of business was to find a bike shop, which we had found on our way into town. We stopped at The Great Divide Bike shop and had them tune up our bikes and bought some other things while we waited. This bike shop happened to be very busy. We were getting hungry when we got back to the hotel. Linda found a place that would deliver gluten free pizza and also had a flourless chocolate cake and bread. Phil found something off the menu and we had our food delivered to the motel. We then relaxed for the remainder of the night. Phil and Linda Bicycle the U.S.